These two remixes I did back in 2004. Taken from the 'Bad Girls' CD it has always been one of my favourite tracks from that album. I tried to create two different styles here, one is more orchestrated than the other which has a more Nrg feel. 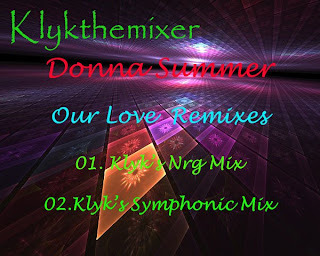 Please leave comments of my efforts, it would be nice to know how my remixes are rated.